Of course, there are risks to information security from hostile external actors – and I have written well over a hundred articles on related topics. But, another aspect of human-originated information security risk is not so simple to address – and that is, human mistakes. Nearly every major breach in recent years, for example, has involved some aspect of social engineering – criminals tricking employees into performing some action that helps the crooks, and harms the victim’s employer. Furthermore, employees inadvertently oversharing information on social media has helped criminals craft especially effective spear phishing emails and other social engineering campaigns. Additionally, few, if any, people fully comprehend all of the elements of the increasingly complex infrastructure of most of today’s enterprises – so configuration errors, some of which may introduce vulnerabilities, can become serious issues. 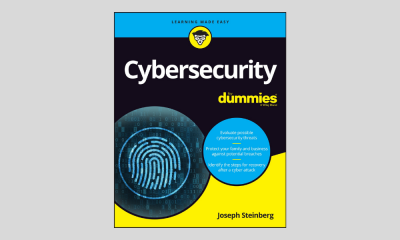 It is obvious, therefore, that information security training – even for non-technical workers – is essential for protecting organizational data and systems. Training should focus on what employees need to know – resist the need to over-train, as overwhelming people with too much information can lead to them not remembering the things that are actually most important to recall. Also, never rely on training along to prevent a problem – always try to find technology that can help enforce policies and procedures, or warn people if they may be making a mistake. From Data Loss Prevention systems that block emails from leaving an organization if they appear to contain inadvertently (or intentionally) attached sensitive materials, to Real Time Alerts if a user makes a problematic post on social media after drinking on a Friday night, to anti-phishing filters and practice detection systems, to systems that warn about potential regulatory compliance violations of all sorts, to systems that scan configurations for anomalies, technology that addresses human risks should be an integral part of every organization’s information security strategy.